Apple Photos. Double clicking to enlarge the photo gives you access to the tools on the top right. 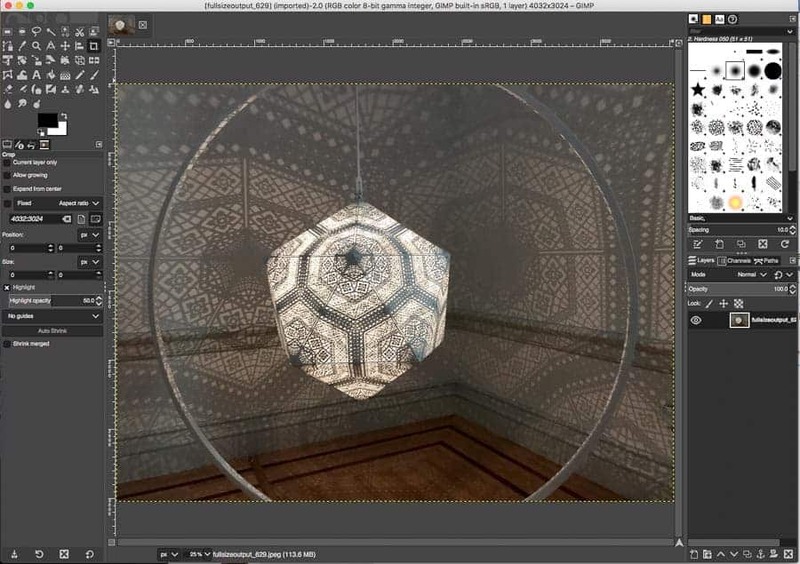 What are the best, free alternatives to Adobe Lightroom and Photoshop if you’re using a Mac? If you’re just starting out in photography, or don’t have much money to drop on buying software, are there options that do many, or most, of the things Lightroom and Photoshop (or Capture One or On1) do? Don't have a Mac but curious about free photo editors for Windows? Check out my article on photo editors for PCs. Many of these alternative applications have developed good sized user bases, but you might not have anyone teaching them in your area or anyone local you can turn to should you encounter an issue or have a question. While they often have good online tutorials, these alternatives don’t have the breadth and depth of free (and pay) tutorials by photographers that you’ll find with Lightroom or Photoshop. So, be aware: you may find yourself on your own if you run into a problem. Let’s also recognize that no single software package duplicates everything another does. 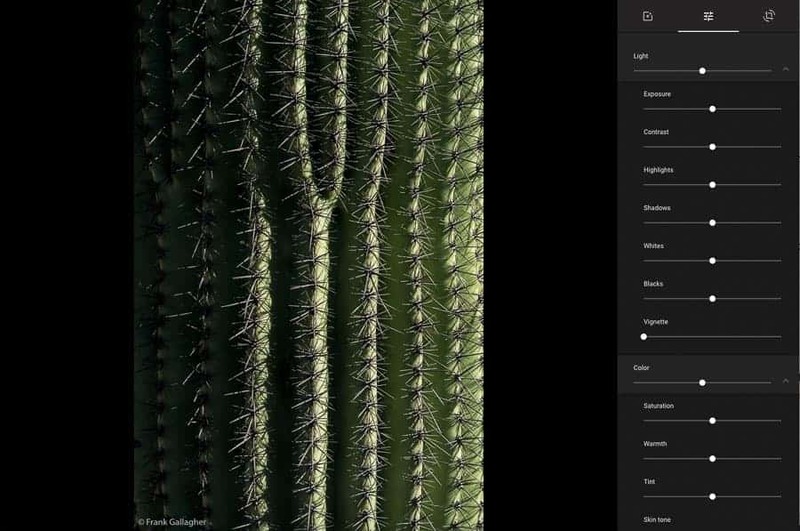 Lightroom’s catalogue system is unique and one of the reasons many photographers use it. Even where alternatives offer some of the catalog features, like keywording or star ratings, they don’t replicate the full range of functionality in the Lightroom Catalog. And some of the alternatives have things Lightroom doesn’t. Some are Lightroom replacements. Others add features found in Photoshop. So, what are some options? 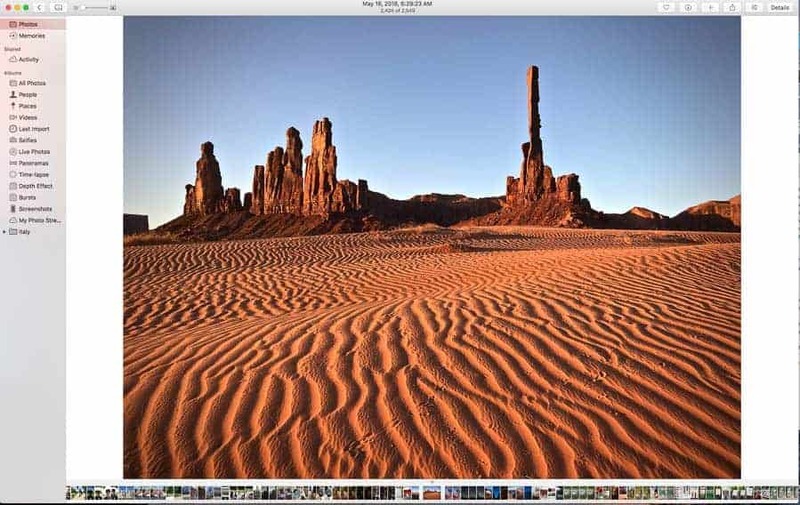 Photos is the built-in editor that comes with your Mac. After they shut down Aperture in 2015, the Photos app on a Mac might be Apple’s best kept secret. 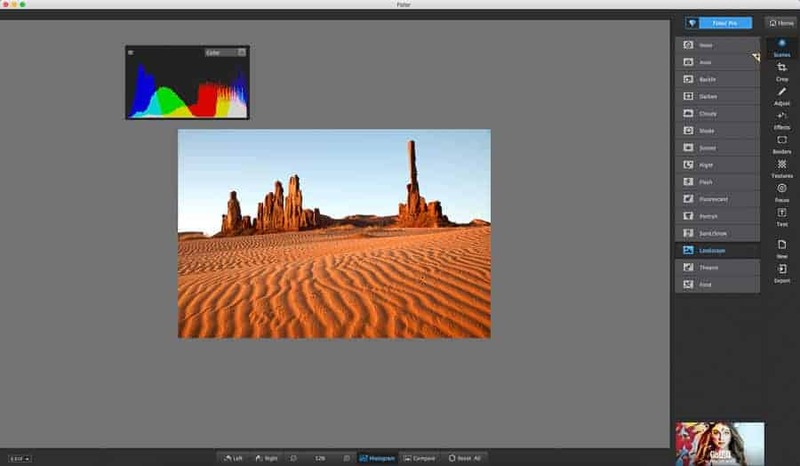 It houses a fairly robust set of editing tools that do many of the tasks in Lightroom’s Develop Module or Photoshop’s Camera RAW. For many casual, or even semi-advanced photographers who are invested in the Apple ecosystem, this might be all you need. However, the tools are hidden and you could be (like I was, prior to researching this article) completely unaware of them. Note first that Apple wants you to store all your photos in the Photos app. One of the benefits is that Photos syncs your photographs between all your devices through iCloud. I believe the defaults on a Mac are set to automatically add all photos to the Photo app. Personally, I use Lightroom to manage my photos and, as I recall, I had to stop the Photos app from automatically adding all my shots to it, in addition to Lightroom. Note also that similar, but not as powerful, tools can be found in the Photos app for iPhone and iPad. Editing on a desktop or laptop gives you a more extensive toolset and finer controls. When you first open Photos, you get a grid view of all of your photos. When you double click to select one, it expands to fill the screen, much like the Grid and Loupe functions of Lightroom (see above). Across the top of the window, from left to right, you have the traffic lights and back button. Then a button that adds a filmstrip below the selected photo. Next is a slider to zoom in or out. Over on the right side of the window is a heart icon, which allows you to add the photo to your Favorites. Then comes the information button, that shows you the camera settings, EXIF data, and lets you add keywords, descriptions and locations. The plus button lets you add this photo to albums, books, calendars, and such, while the button with the arrow coming up out of a box sends your photo to your favorite social media app, to an email, and to other places. If you click on the icon of the three sliders in the top right of the panel, the editing tools magically appear on the right side. There are some decent controls that allow you to do a lot of basic editing. Enhance is the lazy person’s one-step edit. It applies what the program thinks is the best set of adjustments. Try it and see what you think. You can always discard changes by clicking on the Revert to Original button at the top right. Next are the tools to rotate and crop the photo, followed by a series of filters similar to Instagram filters. I tend not to use these kinds of filters, but you can get some cool effects with them. The adjust button opens the door to the main editing controls, allowing you to adjust Light, Color and convert to Black and White. If you click on the small arrow next to any of these, the tab expands into the kinds of controls you see in Lightroom and Adobe Camera RAW. If you’re observant and note the “Add” link near the top right, you can include a histogram, sharpening, noise reduction, vignettes, white balance, levels and definition. Each of these tools has an Auto option, which can be a good place to start, so long as you adjust from there. Even more adjustments are available via the ADD button. At any time, you can Reset Adjustments and revert back to the original photo. Right clicking anywhere in the Adjustments panel gives you options like duplicating, hiding or deleting a photo. When you’re done with the adjustments, if you need to do any spot removal or cloning, click on the band aid icon. Finally, there’s an icon for Extensions, which you’d use if you had any third-party extensions. When you’re finished with your edits, click Done and then share it on Instagram, Facebook, Flickr, Twitter or wherever you show your images. Have a Google account? Then you have Google Photos. Much like Apple’s Photos, Google’s does a lot of what Lightroom/Camera RAW does, but not many professional or semi-pro photographers use it. If you’re in Google Photos, double click on one of your photos and look at the top right. Surprise! The three sliders icon, fifth from the right, opens up a bunch of editing tools. When you first open the tools, you just get a set of creative filters. However, if you click on the three sliders again, you’ll get Light, Color and Pop. If you click on the arrow to the right of any of these sliders, you’ll get a subset of more tools and sliders which are very similar to Lightroom’s Develop Module. They’re basic, but do many of the things you’d want to do when processing an image. You can also crop, rotate and change the aspect ratio. 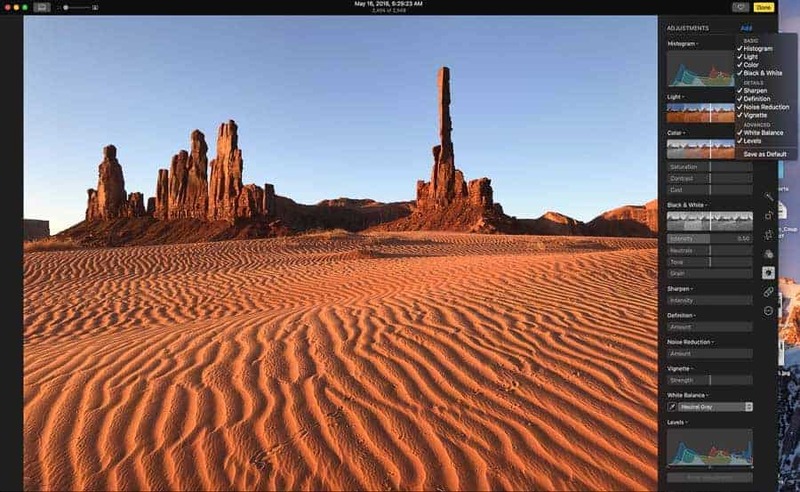 Google Photos Adjustments offer many choices. You can undo all of your edits at any time, but can’t easily go back a few steps to tweak a previous edit. Google Photos lets you Favorite a photo and add to albums but doesn’t have Lightroom’s robust catalog features. You won’t find a Print button. Google felt that not many people print photos anymore, so why waste code on a print module most people won’t miss. Instead, you can download the photo to your computer and print normally there. If Apple’s and Google’s Photos apps can replace Lightroom, at the other extreme lies GIMP, a full-featured program that does most things that Photoshop does. GIMP, which stands for Gnu Image Manipulation Program, is a cross-platform, open source image editor. It works on Windows, Mac and GNU/Linux platforms. In addition to photography, GIMP is used by artists and graphic designers. When you download GIMP to a Mac, you might be prohibited from opening it because it’s not from the App Store or an “identified developer.” To resolve this, go to the Apple > System Preferences > Security & Privacy and allow GIMP to launch. The first time I attempted to open a DNG file (RAW files have the same problem), I got an error message saying there was no RAW loader installed to open a DNG file, and I should install either darktable or RawTherapee. Once you have one of these, GIMP works a lot like Photoshop. That means it’s incredibly powerful and pretty darn complicated. My niece’s husband is a planetary scientist who builds his own computers and used GIMP. Although GIMP offers a lot of free tutorials, if you’re not really comfortable with computers and image manipulation, it might be difficult to learn. But Photoshop is not easy to learn either! If you’re open to playing around with it, you’ll discover a lot of features. 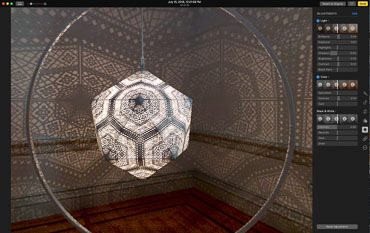 It allows you to work in Layers, Channels and Paths and you can control the opacity of layer adjustments. You’ll find familiar Photoshop tools, like move, crop, the color picker, brushes, blur, sharpen, clone and dodge/burn. 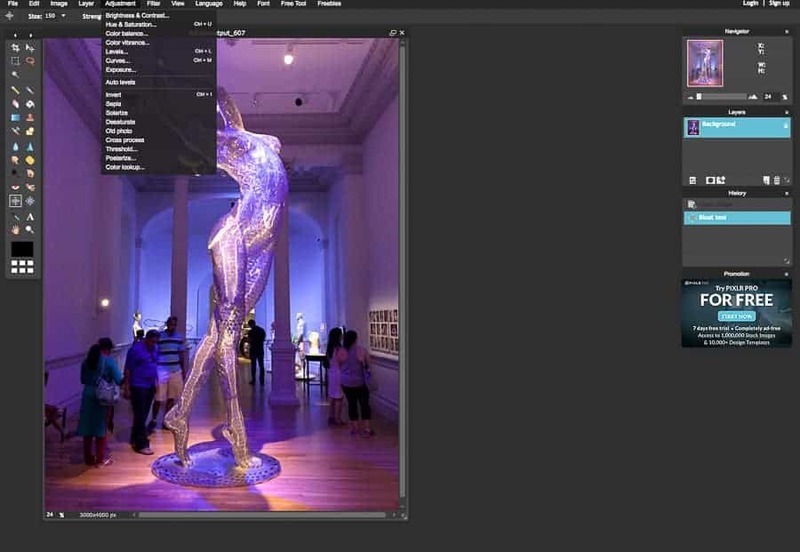 There are a variety of tools to make selections that are similar to some in Photoshop but go by different names. You can select by color, by “intelligent edge fitting”, foreground objects and more. You can make Levels and Curves adjustments and create Layer Masks. 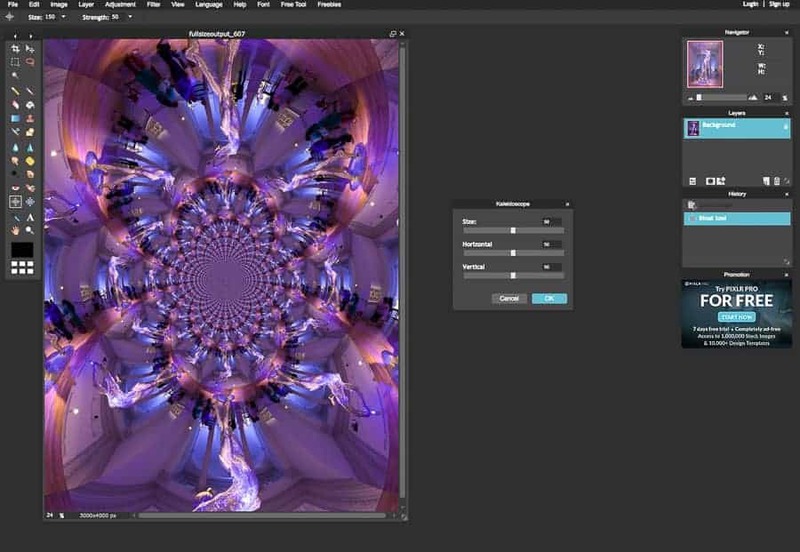 There’s even an ability to create Luminosity Masks, as you can in Photoshop. Although some of the third-party extensions, like TK Actions, Lumenzia and Raya Pro probably won’t work. GIMP has some advantages over other free software when it’s time to print, with better and more versatile print controls. All in all, a very capable, if complex, alternative to Photoshop, if you’re up to the challenge. Somewhere in between Lightroom/Camera RAW and Photoshop lies Darktable. It works on Macs, Windows, Linux and more and has a wide array of features. There are quite a few video tutorials, including several in languages other than English and there’s a comprehensive User’s Manual. Darktable supports hundreds of different camera models, but not all. Darktable works with most file formats, from individual camera manufacturers RAW files to jpg. It uses non-destructive editing and XMP sidecar files. Darktable supports 21 different language translations (mostly European). The Lighttable mode is similar to, well, a light table, showing you a grid view of your images. All of the developing and image editing is done in the Darkroom module. You can do tethered shooting with Darktable, as well as use ratings, stars, color labels, keywords to filter and sort your images. It has some pretty sophisticated color management, lens corrections, chromatic aberration mitigation and noise removal tools. Darktable has all the standard tools from Lightroom’s Develop Module & Camera RAW. So, you’ll see sliders for Exposure, White Balance, Contrast, Shadows and Highlights. There’s the ability to crop. 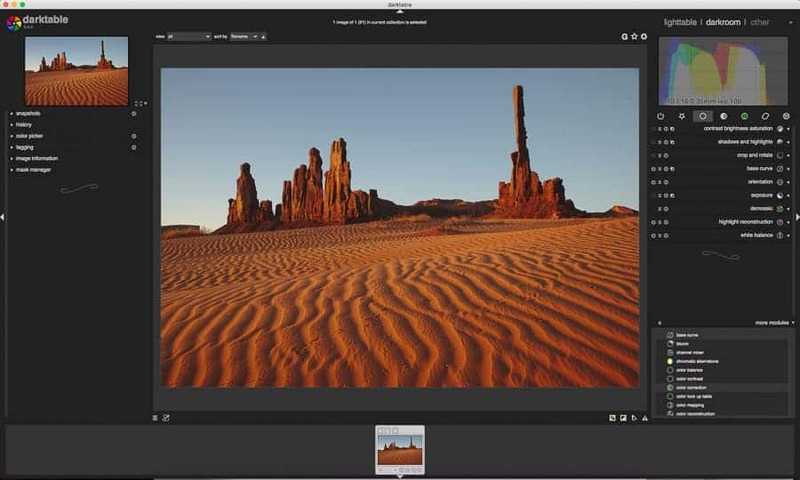 There are also tools for curves, levels, vibrance, vignetting, and adding a watermark. Check out the More Modules tab in the bottom right for a very comprehensive set of additional tools. Darktable also supports layers and masks. You can also customize the right-hand tool panel by adding or removing tools and modules. Darktable has many modules to choose from. While it’s as hard to learn as Lightroom is, Darktable is quite capable and robust . . . up to a point. It’s catalog system isn’t quite as good as Lightroom and there are reports of Darktable bogging down if your image library gets large, say, beyond 50,000 images. While that may seem like a lot, try shooting a couple of weddings and some week-long photo workshops in beautiful places. I already have more than 35,000 images and I’m a late comer to the party! Overall, I’m impressed with Darktable! This is a web-based image processing application. It’s free, but with ads. PIXLR PRO comes without ads and with access to over a million stock images and 10,000 design templates but costs a few bucks a month. If I just want to edit photos, I’m not sure I’d find that compelling or worth the extra moolah. PIXLR is more intuitive than some other editing programs, but you still need a basic understanding of photo processing before you can go diving in. PIXLR has some good tutorials, but not as many as some other applications, and there have been complaints about an inadequate Help section. Having a web-based photo editor may give some photographers who spend a lot of time in out-of-the-way places pause. However great PIXLR might be, it doesn’t do you a lot of good when you’re offline. PIXLR has many of the same adjustment tools as Lightroom. PIXLR has the editing tools you’d expect: Levels, Curves, Hue/Saturation, Brightness/Contrast, Crop, Selections and so forth. It also has some fun effects, like Water Swirl, Kaleidoscope or Mimic HDR filters. You can Clone and Heal, drop in a Graduated Filter or Dodge and Burn. It works with Layers and Masks. The fun PIXLR Kaleidoscope filter. PIXLR uses its own file format, PXD, which retains layers, but can also export images in JPG, TIFF and other formats. It doesn’t work with PSD files or camera-specific RAW files, like NEF or CR2. It also uses Flash, which Apple devices don’t particularly like. It worked for me during my testing, but there have been problems reported using PIXLR with the Safari browser. You can find Fotor in the Apple App Store as a free download. It works on iPhones and iPads, too. There are also Windows and Android versions and an online, web-based version. I couldn’t get the web-based version to open, perhaps because of my popup blockers, but the download went smoothly. Opening my first file in Fotor, I noticed that the colors in the image were considerably less saturated and vibrant than in other editing programs. Once an image is opened, the Adjust tab gives you have access to the typical variety of editing tools, similar to the Develop Module of Lighroom/Camera RAW. The Scene Modes in Fotor are a lot like Lightroom's Profiles. A variety of Scene modes gives you a start on editing your image, much like presets or Lightroom’s new Profiles. In this instance, the Landscape Scene got my photo back to about where it was in other programs. The Effects tab gives you tons of presets and filters. I found the Focus tab intriguing. You can place a circle in one area of the image and change the apparent aperture of the rest, blurring everything outside the circle. I can imagine using this, although infrequently. The Focus feature in Fotor lets you play with blur and depth of field. You can easily export a photo to Facebook, Flickr or Twitter and you can save it back to your computer, as a TIFF, JPG of PNG file. After saving your edited image, you can also print it. 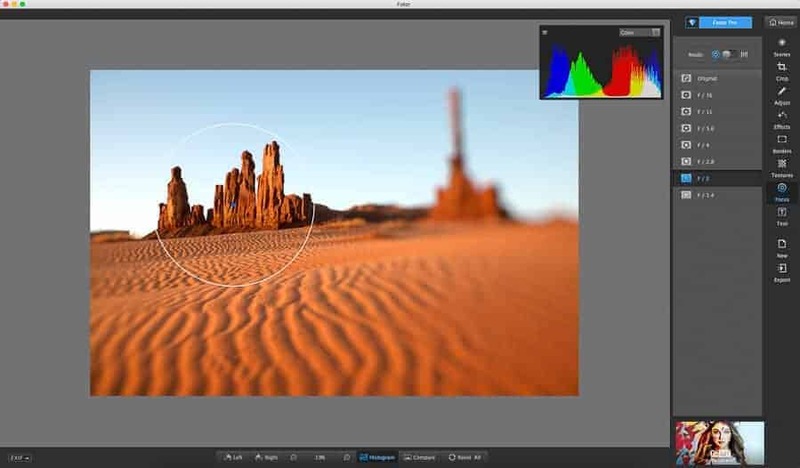 While Lightroom and Photoshop, along with their professional competitors like Capture One and On1, rule the roost, there’s a case to be made for seriously considering some of the free photo editing alternatives. None are perfect, but then neither are Lightroom or Photoshop or the other commercial products. 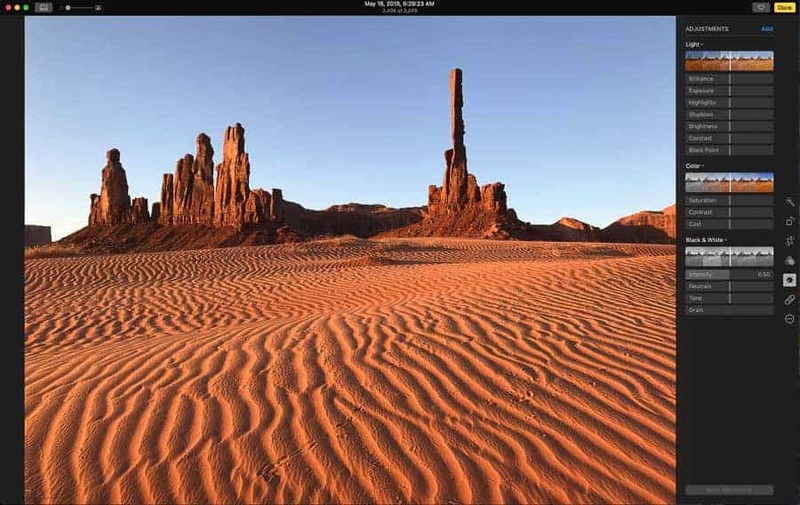 If you're deep into the Apple or Google worlds, you can get a lot done with their Photos apps. If you’re comfortable with playing around and learning software on your own, if you’re OK without having a lot of support and tutorials, and if you don’t see yourself wanting to migrate your photos into the Adobe, Capture One, On1 or other ecosystems in the future, you could give any one of these a try.